massive suitcase bung’d on my bike. I’ve ridden often with such loads. The fold out side basket is a major part of solution. 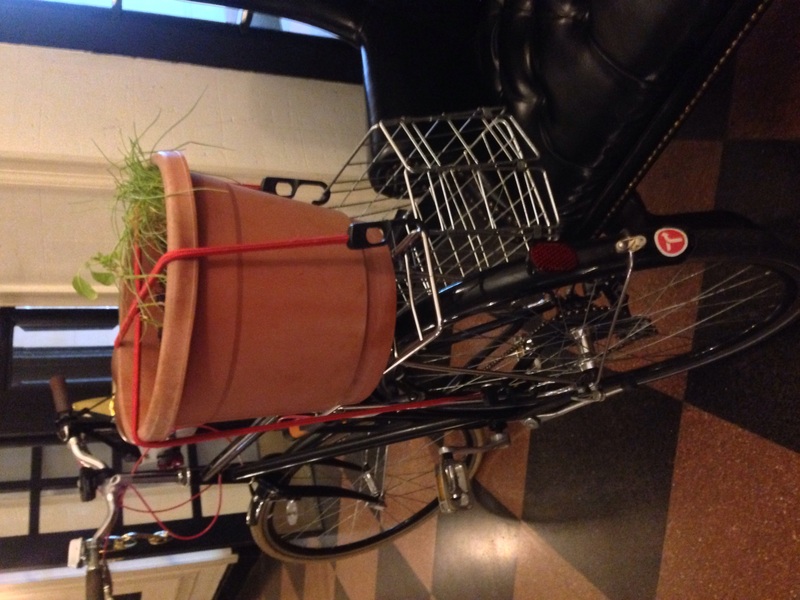 Bike loaded up with baggage ready for ride to LGA ! Congratulations, but if you think 7% of passengers will do that you are deluding yourself. You are a minority of a minority of a minority. First, people cycling for transportation are already a minority. And then you are at the tiny intersection of people willing to balance huge loads with those who think that cycling for a rare trip to the airport is worth the trouble. 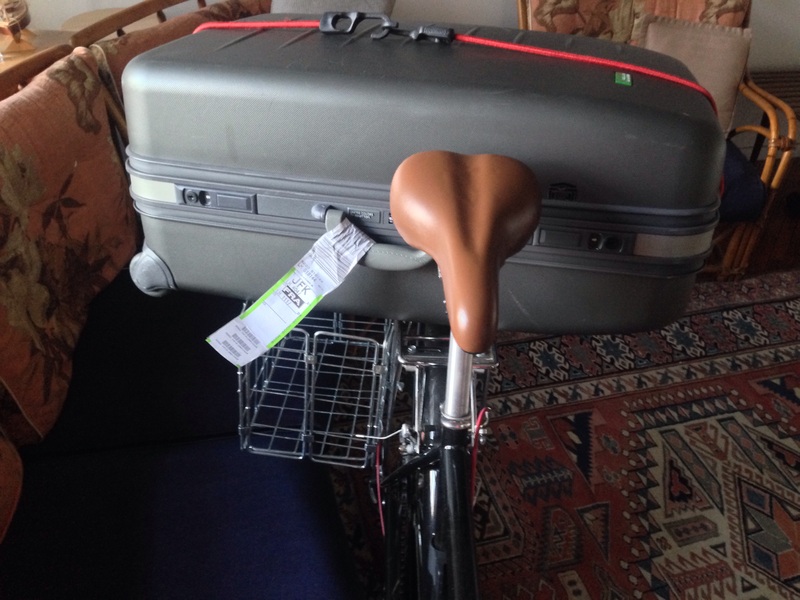 the question was asked regarding loading a carry on on a Bike – the photos show this to be posdible and more. Dr. V, I have to confess I always appreciate the spirit of “can-do” and joy in bicycling that infuses your comments on Streetsblog. It’s Sunday and I am happy to exult in your expertise. Happy trails! Have a safe and enjoyable trip! I think I’m the only other one around here who might be crazy enough to try something like that, assuming I had the desire and ability to travel. Nevertheless, it’s great to show people with enough determination you don’t need a motor vehicle. I used to do that with the 40 mile round trip bike errands I did with my younger brother back when I was in college. I’d probably still be riding along with him if he still did bike errands. 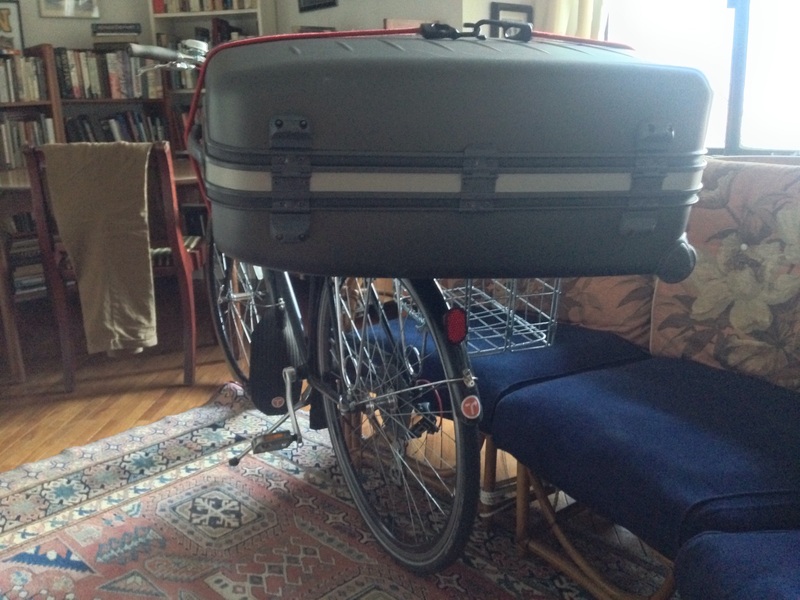 What keeps the luggage from falling back if you start biking uphill? Or falling into you when you go downhill or have to stop suddenly? 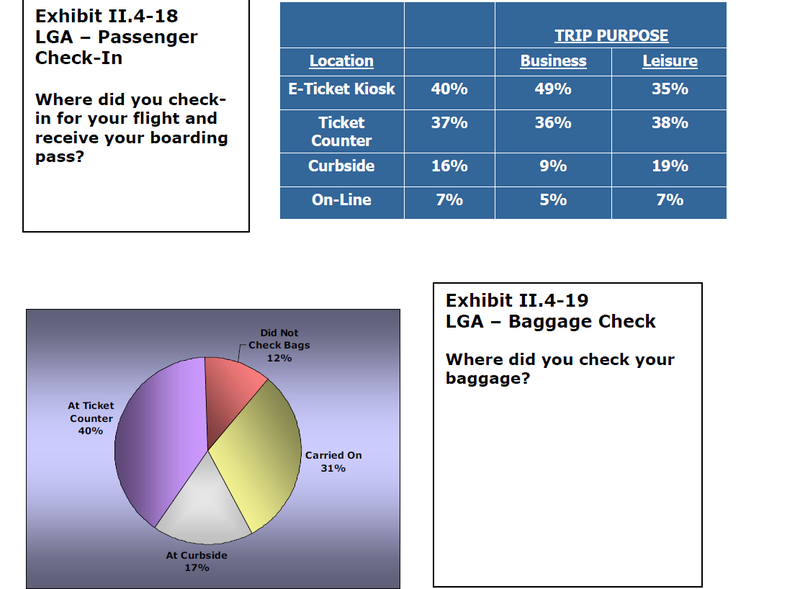 7% of LGA flyers don’t start their trip within a five mile ride of the airport.